The United States has halted aid to the Palestinian Authority (PA) until further review, i24News reports, two months after Congress passed the Taylor Force Act. The act mandates that the U.S. freeze assistance to the Palestinian territories "that directly benefits the PA," unless the Palestinian government adheres to several stipulations, including the termination of financial transfers to terrorists and denouncing and investigating Palestinian terrorist attacks. 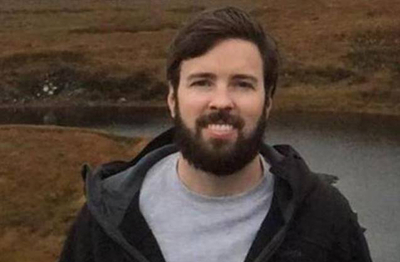 President Trump signed the Taylor Force Act into law in March. It was named for Taylor Force, an American citizen murdered in March 2016 in Jaffa by a Palestinian terrorist. Shortly after the attack, the Palestinian Authority and Mahmoud Abbas' Fatah party glorified the terrorist who killed Force. "Our understanding is that US funding to the West Bank and Gaza is on hold pending an administration review," a Senate Foreign Relations Committee aide told i24NEWS. The USAID office overseeing the Palestinian territories reportedly lacks a formal budget for the next fiscal year. The freeze has also led to the suspension of some development programs overseen by international aid agencies. A HALO trust official, for example, told i24NEWS that the U.S. suspended transferring money at the end of May. Withholding financing for third-party projects, in addition to USAID, suggests that the administration is adopting a broader view of the Taylor Force Act and what constitutes assistance that "directly benefits" the PA. According to a Palestinian official, the Trump administration informed the PA in mid-January that it would re-evaluate its Palestinian assistance budget. That official also claims that the United States told the PA that aid was being suspended, pending review, following an Organization of Islamic Cooperation meeting in May. Under the PA, Palestinian terrorists and their families receive payments that are far higher than welfare recipients. Payments to current and former Palestinian prisoners fall under the budget's "fighting sector" category and terrorists' families receive a "monthly salary," while poor families receive quarterly "monetary aid." A terrorist's socioeconomic status is not factored into the salaries. Payments to released prisoners and jailed Palestinians are based on the length of a prison sentence, which reflects the severity of their actionsy. The more brutal the attack or murder, the more money a Palestinian prisoner gets. The Trump administration pressured Abbas on several occasions last year to stop the terrorist payments. A top PA aide at the time called the idea "insane," while Abbas referred to this practice as a "social responsibility."